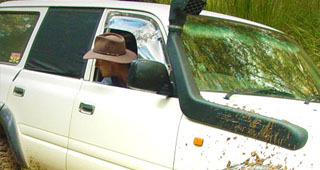 QLD Off-Road Driver Training - Make the most of your 4WD! 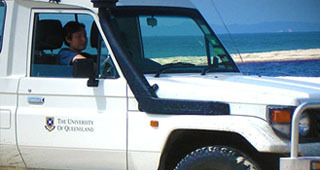 In South East Queensland we have some wonderful beaches that are accessible by 4WD. Driving on sand can be dangerous, if you lack the knowledge needed to travel safely. This half day course will provide you with the confidence and the ability to travel safely on sand whether on the beach or in the desert. So why not come along for this half day course and spend the rest of the day on the beach feeling confident in yourself and your vehicle. Whether you are a novice or someone who has been 4WDing for sometime, you can always enhance your “OFF ROAD” driving skills. Description: Upon completion of this course you will have the knowledge and techniques required for safe sand 4WDing. Includes: Knowledge and understanding of how your 4WD works. Off road driving techniques. Basic recovery equipment demonstrations. Advice on equipping your vehicle. 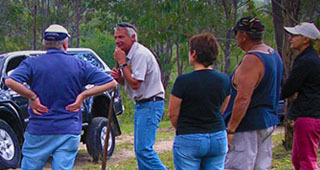 Courses available to provide you with a better understanding of your 4WD and a knowledge of all terrains. Whether you are a novice or advanced driver you can always enhance your off-road driving skills. See all available training dates for all courses on offer. Courses are competency based and therefore provide increased flexibility in the delivery of training thus catering to participants with various levels of prior skills. QLD Off-Road Driver Training. All rights reserved. Design by Havik Design. Photos by Greg Hyde.